The recreation ground off Wilkinson Drive. Lincolnshire County Council is proposing to carry out ‘improvements’ in Middle Rasen next Spring, to focus on drainage in the area. If they go ahead, the improvement works would be located on Manor Drive, Gainsborough Road (A46), Wilkinson Drive and the recreation ground off Wilkinson Drive. •Improvement of the existing highway drainage system on Gainsborough Road. •Installation of a new drainage system consisting of new pipework from the existing watercourse situated adjacent to Vine Cottage and The Mill Wheel on Gainsborough Road, into Wilkinson Drive and across the recreation ground to connect to the existing Public Sewer situated in the recreation ground. The majority of the works lie within the extent of the publically maintainable highway or areas of low environmental interest, therefore no specific mitigation works are proposed. 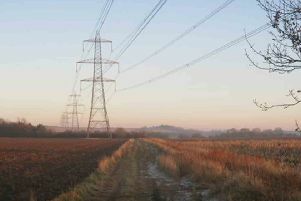 Lincolnshire County Council considers that the improvement works are not likely to have significant effects on the environment, and does not intend to prepare an environmental statement in respect of them. More detailed information can be viewed during normal office hours at the West Lindsey District Council, Guildhall, Marshalls Yard, Gainsborough DN21 2NA, or on Lincolnshire County Council’s website.